Wigan’s coalfield and the thousands of people who worked in the mines have been honoured with a new memorial. A pit tub and plaque have been unveiled at Mesnes Park in Wigan as a permanent tribute to the many people who worked in the pits.The red and black pit tub came from Astley Green Colliery and has been filled with plants. It is accompanied by a plaque commemorating miners and pit brow lasses, with information about the mines and photographs. The project was the idea of Wigan Central councillor George Davies. 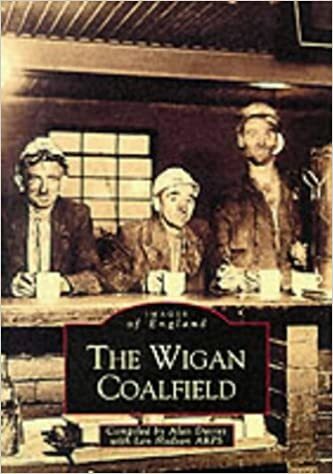 Through documents, the Wigan area can trace its coal mining activities as far back as 650 years, and for a brief spell in the late nineteenth century Wigan itself was proudly known as 'Coalopolis'. Mining machinery such as ventilation fans, winding engines, air compressors, pumps and haulage engines were manufactured around Wigan, the products of Worsley Mesnes Ironworks, Woods & Sons or Walker Brothers. The closure of the Bickershaw, Golborne and Parsonage mining complex in 1992, however, brought to an end the Wigan Coalfield's great era. Over 700 million tons of coal have been produced in the Wigan coalfield over the last 600 years, while a similar amount still lies below the ground. The recent ill-advised rush to wipe out all trace of the British coal industry has temporarily closed the mines of the Wigan area, and sadly thousands of men with the specialist skills peculiar to the industry have found themselves without a career. The photographs in the compilation have been carefully selected from the collections of the Lancashire Mining Museum, Wigan Heritage Centre, and the Donald Anderson/Tony France Archive. It is a book that will provide an intriguing insight into the lives and working conditions of Wigan area miners, and is a testament to the region and its proud coal mining legacy. No. 92 - Rosa Lucas, nearly 18 years old, at Mr. Morris's, Lamberhead Green, (Wigan) May 19th, 1841. You are a drawer, I believe, when at work? - Yes, I am. Where do you work? - At Mr. Morris's. I used at work at Blundell's. What age were you when you first began to work in the pits? - I was about 11, I think. Do you work at night in Morris's pits? - Yes, when I was able to work. I worked one week in the day time and the next at night, the same as the drawers did. Are there any children in the pit where you work? - Oh, yes, both little and big, some not older or bigger than him [pointing to a little boy of six or seven years old]; they put them to tenting air-doors. What hours do you work? - I go down between three and four in the morning and sometimes I have done by five o'clock in the afternoon, and sometimes sooner. Have you any fixed hour for dinner? - Yes, we have an hour for dinner in the day-time, but we don't stop at night. When you are working the night turn, what hours do you work? - I go at two o'clock in the afternoon, and sometimes three. I come up it will be about three o'clock in the morning, and sometimes before. You have no regular times for meals at night? - No we never stop at night. Do you find the work very hard? - Yes, it is very hard work for a woman. I have been so tired many a time that I could scarcely wash myself. I was obliged to leave Mr. Blundell's pit, it was so hot, and my work was a deal harder; I could scarcely ever wash myself at night, I was so tired; and I felt very dull and stiff when I set off in the morning. What distance did you draw? - 23 score yards in length. Have you ever had many accidents besides the one you are now suffering from? - Yes, I had once a great big hole in my other leg. I thought it was the water that did it, for I was working in a wet place then. Are Mr. Morris's pits dry? - Yes, very dry. How did the accident happen you are now suffering from? - I was sitting on the edge of a tub at the bottom, and a great stone fell from the roof on my foot and ankle, and crushed it to pieces, and I was obliged to be taken off. Have you ever seen the drawers beaten? - Yes, some gets beaten. Mary Tuity gets beaten nearly every day. What do they beat her with? - A pick-arm. What do they beat her for? - I suppose it is for 'sauce'; she has a very saucy tongue. What age is she? - She is 23 years old. What is your father? - He was a collier, but he was killed in a coal-pit. I go past the place where he was killed many a time when I am working, and sometimes I think I see something. Extract from "Children In The Mines, The Children's Employment Commission of 1842." My cousin George doing the honours. He's appeared in the local press more times than Billy Boston. 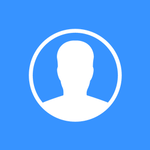 A much better idea than a 'FACE'....what??? On that green diagram, have you noticed how there's NO collieries, neither operational or closed, shown around that little yellow sign what says 'Wigan'. How strange! I wonder why? @Nosam Derf wrote: A much better idea than a 'FACE'....what??? The flashes, caused by mining subsidence. Who used to go fishing at the Blackwaters, across the canal from Scotmans Flash.??? Some big fish in there, I remember. Not a fisherman, but it's always got folk casting in on the blackwaters when I walk past with my beast (dog).